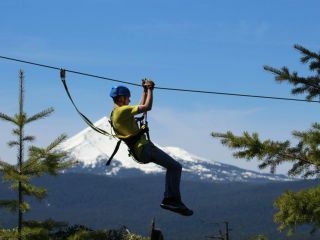 Located only 20 minutes away is the Crater Lake Zipline. 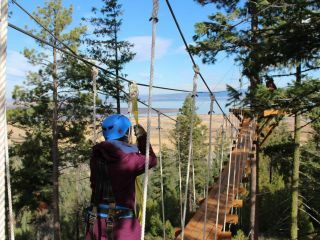 This adventure will give you the opportunity to soar through the trees and see some of the best view Klamath Falls has to offer than you can only see on Crater Lake Zipline. 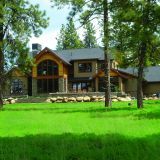 You will see Upper Klamath Lake, Cascade peaks like Mt. McLoughlin and Pelican Butte and the rim of Crater Lake in the distance. 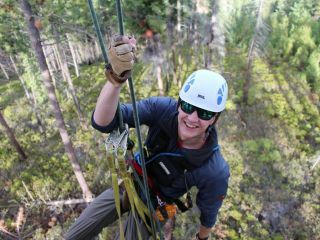 It is the only tree-based canopy tour on U.S. Forest Service Land. 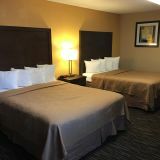 The zipline consists of 9 zips, 2 rappels, and 2 sky bridges and is approximately 3 hours long. 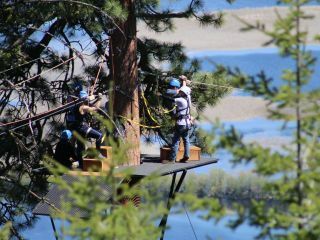 We invite you soar through the trees with us and experience Crater Lake Zipline.